According to eminent lawyer Prashant Bhushan, these official reports attest to just how negligent and unconcerned India’s regulators are with regard to the risks of GMO contamination. They also attest to a serious lack of expertise on GM issues within official circles.It now clear that placing GM crops on the commercial market in the first place (in the US) was based on the subversion or bypassing of science and that their introduction poses a risk to food security, human health and animal, plants and soil as well as the environment in general. 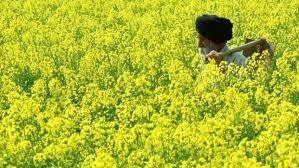 The issue of GM mustard is not only about a crop but is central to a development paradigm that wants to see a fully urbanised India with a small fraction of people left in agriculture and living in the countryside.US companies and Washington, via the Knowledge Initiative on Agriculture, are driving the agenda. Does India want to mirror what is effectively a disastrous US model of agriculture? If this is the case, it is highly disturbing, given that it is an unsustainable taxpayer-subsidised sector that has produced a range of social, environmental and health costs outlined in that last link. Finally, none of this is about being ‘anti-GMO’. It is about understanding and challenging the politics of GM and development. Wealthy corporations are flexing their financial and political muscle and are effectively hijacking public institutions for their own ends by slanting, science, politics, policies and regulation (these claims are discussed here, here and here) . It should not be about whether we are pro-GMO or anti-GMO. It is more the case of whether we are anti-corruption and pro-democratic.